The fairy princess Marianne is crushed when she learns that her fiancée, Roland, does not truly love her. Instead, he hopes to marry her in order to gain access to her father’s armies, in order to conquer the neighboring kingdom of the Bog King. Dawn is Marianne’s sister; her happy-go-lucky, flirtatious nature irritates her brooding sister. A cold tension exists between Marianne’s kingdom and the kingdom of the Bog King. He has made it dangerous for the fairies to come near his kingdom, because he does not want them to have access to primrose petals. Primrose petals are important in the creation of a love potion; the Bog King has been hurt before when his romantic wishes went unfulfilled, and so now, he wishes for there to be no love in the world. After all, love hurts. Roland is determined to marry Marianne, however, and so he plots a way to obtain a love potion to make her change her mind; his efforts expose him to the wrath of Marianne – and expose the fairy kingdom to the wrath of the Bog King. The Bog King has been hurt before by someone from whom he wanted love. He now broods in darkness, fearful of love, because “love is dangerous. It weakens. It rots.” Although Strange Magic is about romantic love, I think that kids who’ve been hurt by previous parental figures might also resonate with the Bog King’s fear of love. We learn that true love (whatever it is), is more powerful than love created by a love potion. We are reminded not to judge a person based on their looks, but by their actions. Marianne understands that talking with someone – and understanding them – is far better than silently viewing them as a scary enemy. Roland is very manipulative towards Marianne as he tries to win her back. While it’s a negative behavior, it is realistic. Parents could take the film as an opportunity to help their kids think about finding a balance between being gullible and being closed off – finding the ability to be trusting of others while also maintaining the boundaries important to safety and mental health. One princess is threatened with death, and there are scenes of kidnapping that could be scary to young viewers. 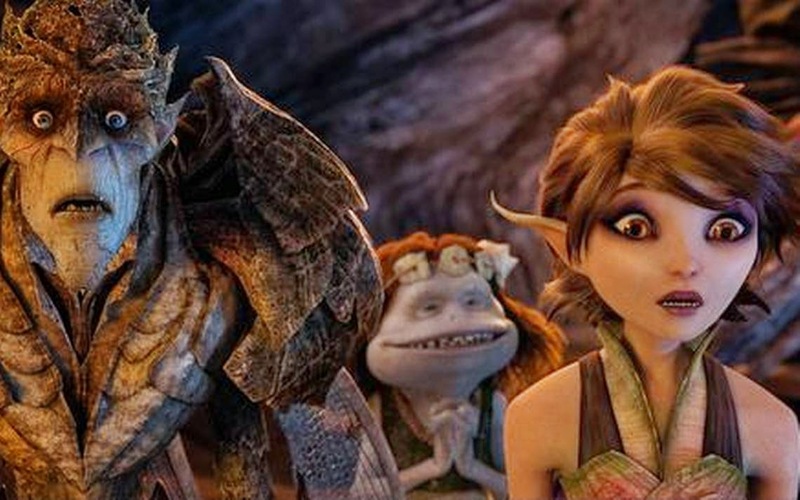 Strange Magic is described by its creator, George Lucas, as “Star Wars for 12-year-old girls.” Another filmmaker described it as “Beauty and the Beast, where the beast doesn’t change.” To me, it seemed like Frozen – a two-princess story where the men aren’t who they seem to be, and where one princess declares that she doesn’t actually need a man at all. 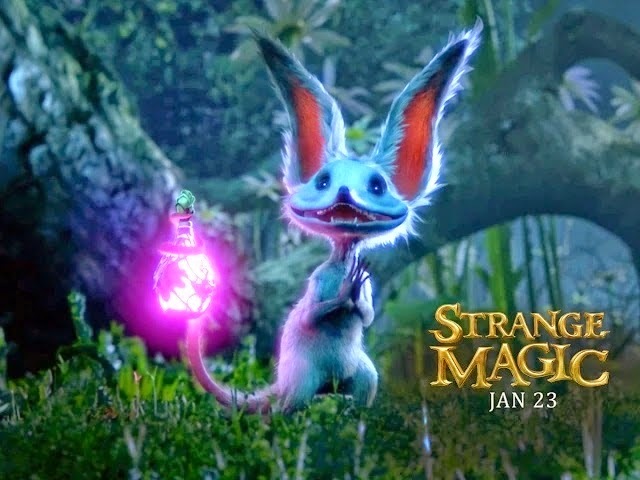 Of course, where Frozen has been remarkably well-received, most critics have panned Strange Magic. The scenes of kidnapping make it a poor choice for kids under 10 or so who’ve been through foster care, and the general fairy-love-story nature of the film makes me think it’ll appeal more to girls than to boys. It could be an interesting choice for girls ages 10-12; parents could use it as an entryway into an important conversation about how to decide which boys are trustworthy. Why was the Bog King scared of love? Why can kids sometimes be scared to let their parents love them? To let their friends get to know them? How can you tell whether someone is trustworthy?